30% of the population will develop significant neck pain. The pain is usually due to a disc herniation. If the disc protrusion is small pain tends to resolve over 4-8 weeks. 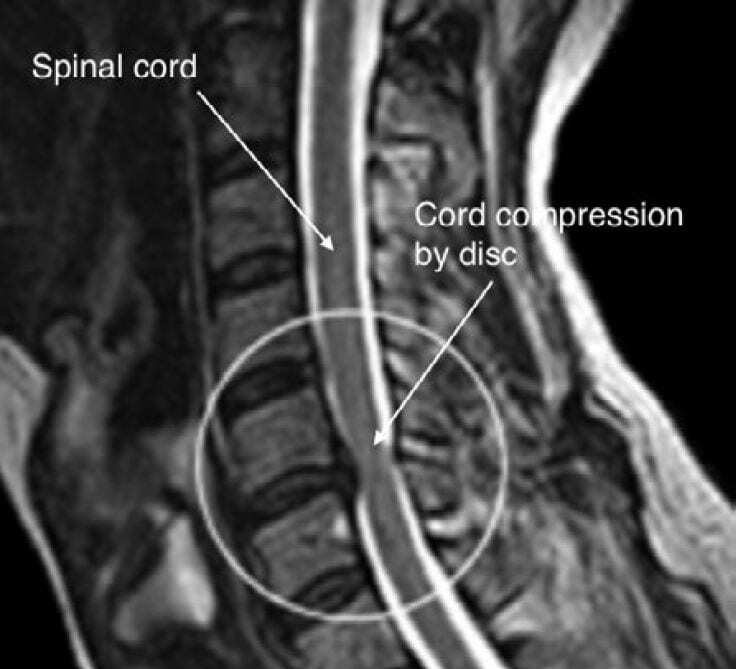 Large disc protrusions compress the spinal cord and nerves leading to pain in the neck and arm i.e. cervical brachialgia. 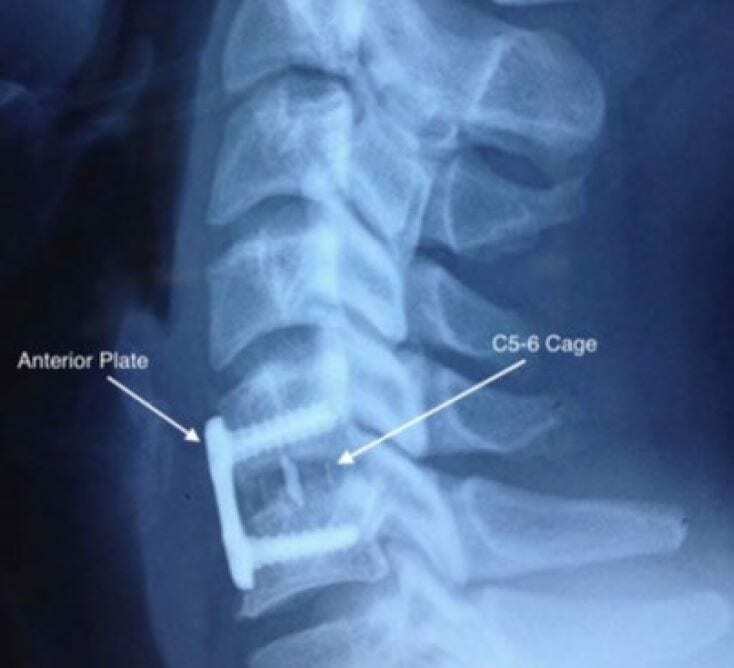 For these patients, anterior cervical discectomy and fusion (ACDF) is a minimally invasive surgical procedure with a high success rate (figs 1 and 2). Some patients develop significant neck pain due to facet joint osteoarthritis (OA). A 65 year old female presented with a two years of progressive left sided neck pain in the suboccipital area. Lateral rotation exacerbated the pain, leaving the patient unwilling to move her head. MRI scan did not show a significant disc protrusion or nerve root compression. CT scan of the cervical spine showed severe OA of the atlanto-axial joint (fig 3). Technetium bone scan showed avid uptake of the left C1 C2 joint. C1 C2 facet joint injection brought two weeks’ relief of symptoms. 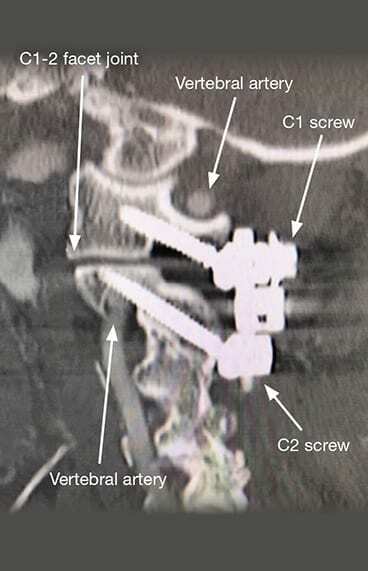 Posterior fusion of the C1 C2 vertebra was performed through a 4cm vertical incision. Four 3.5mm titanium screws were placed using computer guided navigation (fig 4). Screws were connected by two 30mm rods. Cadaver bone graft was applied posteriorly. The patient’s pain was completely alleviated by the surgery. Her pre-operative VAS score was 10 and the postoperative pain score at 6 weeks was 1. She reported no change in range of movement compared with preoperative. Cervical fusion surgery can be highly effective in alleviating chronic neck pain due to severe OA especially at the C1 C2 level which causes severe pain. Accurate diagnosis involves detailed investigation with CT, MRI and bone scan. Cortisone injections can help confirm the site of pain generation. Spondylotic changes in the cervical spine are ubiquitous as patients age. However, most patients will only have one level that is symptomatic i.e. the pain generator. Many patients are apprehensive about fusion surgery because of the risk of the developing adjacent segment degeneration (ASD). 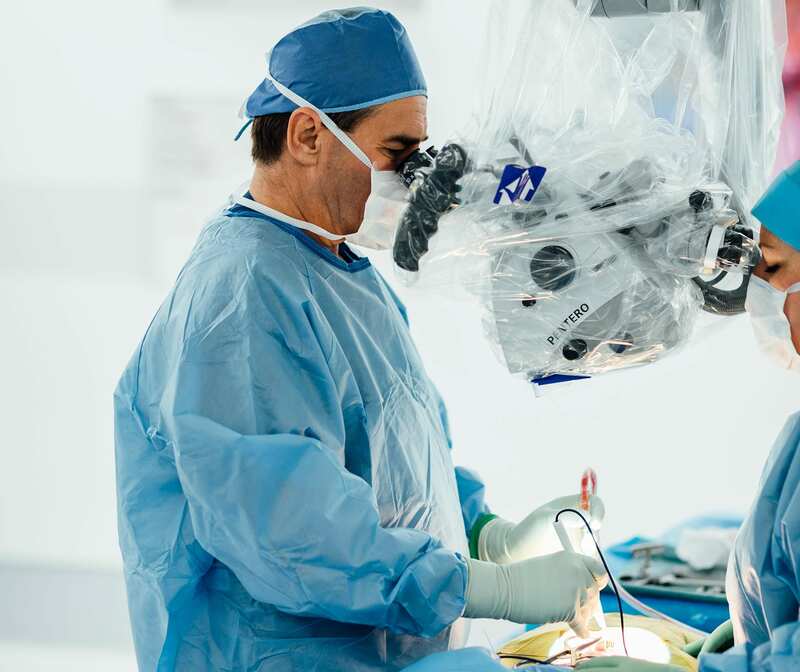 Multilevel fusion surgery should be avoided, as it has a high risk of developing ASD however it is very rare for patients undergoing single level fusion to develop ASD.